Scientists can now monitor and record the activity of hundreds of neurons concurrently in the brain, and ongoing technology developments promise to increase this number manyfold. However, simply recording the neural activity does not automatically lead to a clearer understanding of how the brain works. In a new review paper published in Nature Neuroscience, Carnegie Mellon University's Byron M. Yu and Columbia University's John P. Cunningham describe the scientific motivations for studying the activity of many neurons together, along with a class of machine learning algorithms—dimensionality reduction—for interpreting the activity. In recent years, dimensionality reduction has provided insight into how the brain distinguishes between different odors, makes decisions in the face of uncertainty and is able to think about moving a limb without actually moving. Yu and Cunningham contend that using dimensionality reduction as a standard analytical method will make it easier to compare activity patterns in healthy and abnormal brains, ultimately leading to improved treatments and interventions for brain injuries and disorders. "One of the central tenets of neuroscience is that large numbers of neurons work together to give rise to brain function. However, most standard analytical methods are appropriate for analyzing only one or two neurons at a time. To understand how large numbers of neurons interact, advanced statistical methods, such as dimensionality reduction, are needed to interpret these large-scale neural recordings," said Yu, an assistant professor of electrical and computer engineering and biomedical engineering at CMU and a faculty member in the Center for the Neural Basis of Cognition (CNBC). The idea behind dimensionality reduction is to summarize the activity of a large number of neurons using a smaller number of latent (or hidden) variables. Dimensionality reduction methods are particularly useful to uncover inner workings of the brain, such as when we ruminate or solve a mental math problem, where all the action is going on inside the brain and not in the outside world. These latent variables can be used to trace out the path of ones thoughts. "One of the major goals of science is to explain complex phenomena in simple terms. 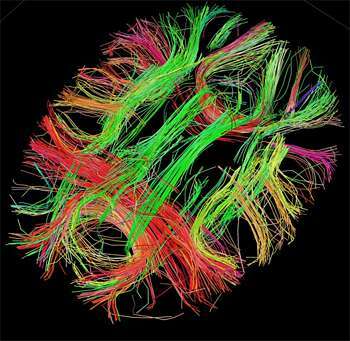 Traditionally, neuroscientists have sought to find simplicity with individual neurons. However, it is becoming increasingly recognized that neurons show varied features in their activity patterns that are difficult to explain by examining one neuron at a time. Dimensionality reduction provides us with a way to embrace single-neuron heterogeneity and seek simple explanations in terms of how neurons interact with each other," said Cunningham, assistant professor of statistics at Columbia. Although dimensionality reduction is relatively new to neuroscience compared to existing analytical methods, it has already shown great promise. With Big Data getting ever bigger thanks to the continued development of neural recording technologies and the federal BRAIN Initiative, the use of dimensionality reduction and related methods will likely become increasingly essential.